When it comes to the floors in your projects, there’s more to consider than just hardwood flooring, ceramic or carpet. Whether you operate in a cold climate or the tropics, you’ll find that granite and marble are excellent alternatives. These attractive and durable materials can withstand decades of regular use, and they’re very easy to care for. Here’s what you should know about the materials you offer clients and how marble can send the right message. Your customers like having plenty of choices to consider, and they may be looking specifically for high-end options. As a contractor, you want to satisfy their desire to have luxurious materials installed in their new home or business. 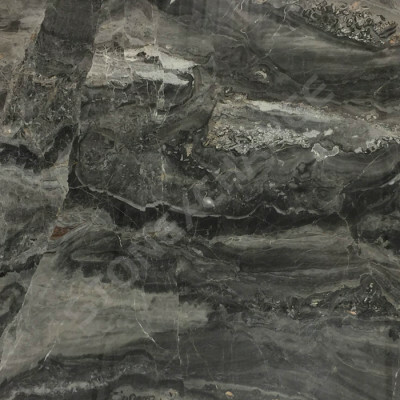 When people see that you’re offering high-end Breccia Oniciata marble and granite, they’re bound to have questions about how marble will work in their setting. This is your chance to make a great impression by clearly outlining the valuable benefits. Ceramic tile can pull heat away from bare feet, and people often worry about this when considering natural stone. When working on homes where people will walk on the floors with bare feet, remind the property owner that natural stone is an excellent heat conductor. It will naturally adjust to a room’s temperature, so you won’t have to worry about it being cold underfoot in the winter or too hot in the summer. There’s no need to break out harsh chemicals to clean the natural stone. In fact, a steam mop will work wonders with both granite and marble. This means that they’re very easy to clean, and businesses can save money on chemicals and expensive machinery. Provided the stones are polished, dirt and debris will sweep away and then clean right off with a touch of water. Business and homeowners alike care about the impression that their property will make on visitors. They want the space to be attractive and functional, and this is easily accomplished with natural marble or granite floors. When people walk in and see the upgraded material on the floor, it makes a great first impression. People like having choices to consider, and marble and granite come in a wide range of colors and styles. Choose something with more movement in the grain, or go with a subtle, monochromatic finish that will flow cleanly across a room. This is your client’s chance to express their personal style. You can help them choose a color that will make the space feel larger, or more intimate. Show them the differences between a mottled pattern and one that moves across the stone like a river. The perfect look is waiting, and you can assist your client in finding it. They’ll appreciate your help, and you’ll love the final results. Marble and granite are some of the oldest building materials on the planet. They’ve been used in government buildings since the ancient Greeks erected the Parthenon. It’s found in the White House, the Taj Mahal, and even the Roman Coliseum. It’s been in use for thousands of years, and some of these floors are still intact and providing support. This is one reason why marble floors are still so popular today. Your customers will pay more for the material today, but they’ll probably never have to replace it. If you’re working on a custom home or high-end commercial project, marble and granite are both excellent choices for the flooring. Marble and granite can both be polished to a brilliant shine. Marble, in particular, can actually provide you with a highly reflective finish that will send light moving throughout the room. This is particularly important in cavernous spaces like retail stores and restaurants where the light from exterior windows may not reach the interior sections. The marble floors will help transfer the illumination and spread it throughout the area more. You’ll effectively lighten and brighten the space, and your client will be impressed with the finished look. Whether your clients are planning on staying in the home for a few years or a few decades, they’ll have some interest in the potential resale value of the property. Marble and granite are upscale add-ons that can effectively boost the value of the property. Installing top-of-the-line materials at the beginning will help them increase value now and in the future. There is one caveat that you’ll want to warn your clients about. While marble is a great choice for living rooms and even restaurant dining areas, you may want to choose granite for bathrooms and kitchens. These areas regularly get water on the floor, and that will make marble slick. Granite can be finished with a slightly rough texture that makes it more slip-resistant. Granite is also available in a range of light and dark colors, so your client can still get the look they love without worrying about falling. As a contractor, you have to keep an eye on the costs. Your clients may believe that all granite and marble are very expensive, but the fact is that you can help them save money by working with a wholesaler. Granite is durable and attractive, and it’s also surprisingly affordable when you purchase from a reliable company that offers bulk delivery. In fact, there are several different marble and granite options that start below $5 per square foot. After considering the durability and versatility of this material, your clients may decide that it’s the most cost-effective option. When you sit down with a client to discuss design options, be sure to mention that you have access to quality granite and marble floors. Your customers will be impressed with your selection, and they’ll be pleased with the reasonable rates. This simple change can make a drastic difference in how a building looks and feels, and it can be the perfect finishing touch in all types of properties. Consider the wholesalers at Nalboor Tiles to stock all of your natural stone needs. You can view our full selection of tiles here. Call us at 305-501-4548 or contact us online today.